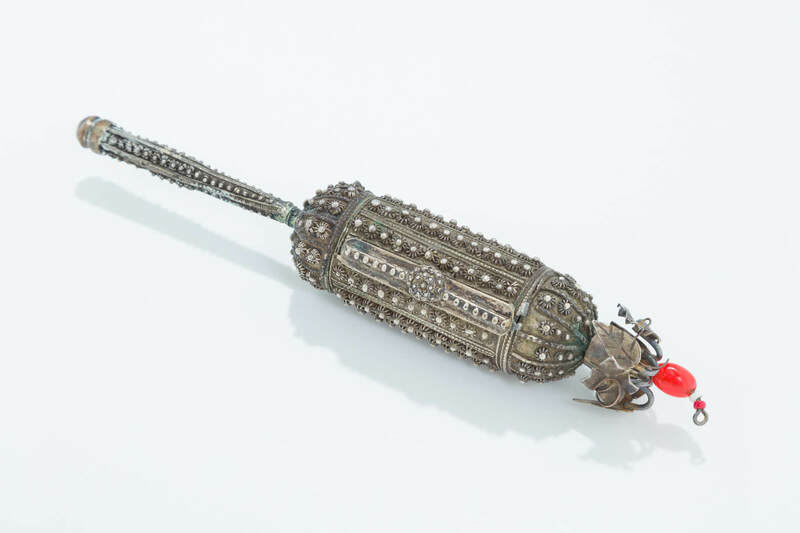 A SILVER MEGILLAH CASE. Yemen or Holy Land, c. 1880. Hand made. Decorated with wirework, beading and floral decorations. 7.3” tall.